I just bought my "dream card".. my most expensive card purchase by a large margin. But you'll have to wait for that post till after it arrives. But today's card is no slouch either! 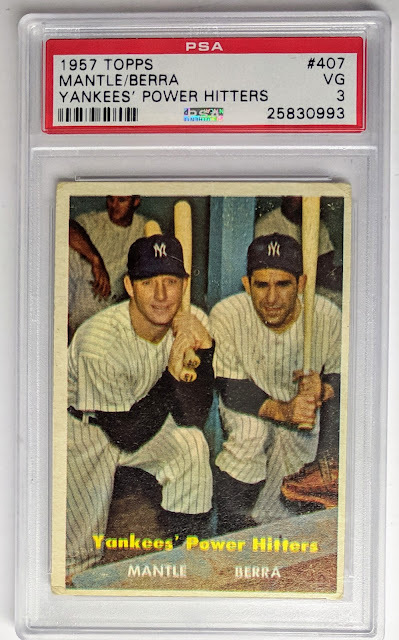 1957 Topps Mickey Mantle / Yogi Berra "Yankees' Power Hitters". Not sure if I'll be able to complete my '57 setbuild by the end of 2019, but I'll give it a shot. This was one of the few "big" cards left for me. 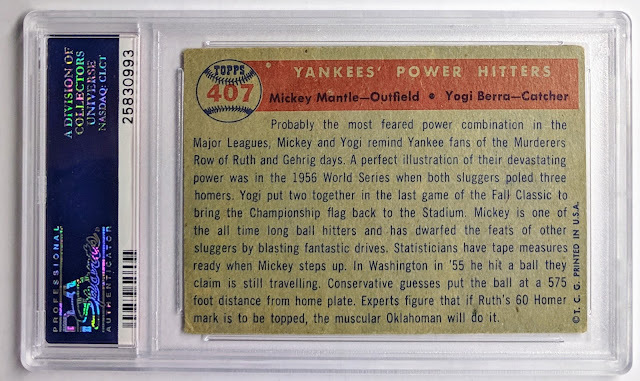 My base '57 Mantle is a raw beater, snagged years ago, but I ponied up for a graded specimen of this combo card. "Statisticians have tape measures ready when Mickey steps up." 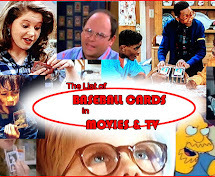 This is the last card in the 407-card set. 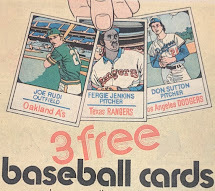 There are also some unnumbered checklists and contest cards that I'm kinda thinking about not going after because they are pretty expensive for such boring cards. I may decide to just go for the 407 cards in the numbered set and call it good. Sad to hear of Frank Robinson passing. A great man and a great player. Here's a neat gif I made last year. Rest In Peace. I saw the picture and read the first sentence an assumed the Mantle/Berra was the card you were talking about. It gets better? I feel like a young collector and when I grow up I want to be like you. Great card, I've always liked that card. Looking forward to seeing your big pickup. That Mantle/Berra is sweet! Can't wait to see what the dream card is. P.S. Great job on the Frank Robinson! I hope to add those to my Berras one day. Quite nice! !